So my mum and I have a thing about afternoon tea. We like to try them everywhere we can and would love to be able to tick them all off in Bristol. We’ve even made our own and had a gin afternoon tea party at our house before, it was super fun and I’d really love to do it again but invite more people. 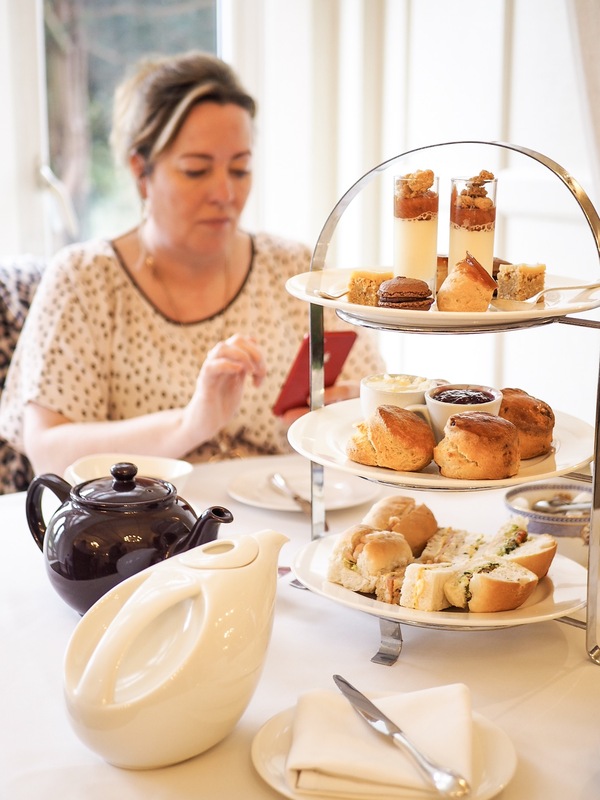 There was one place my mum kept going on that she wanted to try, so I thought I’d buy her a voucher for a Berwick Lodge Afternoon Tea this Christmas so we could both go and try it in the new year. We visited in January so it was still their Winter menu and this is what we ate and our thoughts on it! Berwick Lodge is a country manor hotel hosting boutique rooms, an award-winning restaurant and it’s less than a 10 minute drive from Vue, Hollywood Bowl and one of Bristols main shopping centres. Fear not if you’re looking for a quiet stay though as it’s a considerable distance from the main road making it private, peaceful and giving it a countryside atmosphere. Both the exterior and interior scream antique luxury making it a perfect wedding venue for couples with high quality taste. I’m not sure if I’ve ever mentioned this on my blog but I have a really weird thing with prawns. I’d call it maybe a mild phobia. I won’t look at them, touch them, I don’t like being around them and I would CERTAINLY never put them near, let alone IN my mouth, so it’s safe to say I left it. My favourite was definitely the roasted vegetable one, the pesto was such a gorgeous compliment to the flavourful vegetables and I can’t say I’ve ever had a sandwich like this before so it was a really fabulous change. I enjoyed both the egg mayonnaise and ham sandwiches also but can’t say I have a lot to say about them as they are just your standard sandwich fillings! Simple and nice. One plain and one fruit scone complete with a pot of clotted cream and a pot of raspberry and earl grey jam. Both my mum and I only managed to eat one scone each (we did take the other home to eat later, though). The scone itself was gorgeously fluffy in the middle and slightly crunchy on the outside. The pots came filled with more than enough jam and cream to satisfy us. We thoroughly enjoyed it and it really did fill us up! All I could manage after the finger sandwiches and a scone was the profiterole. It was really different but unbelievably tasty. I really wasn’t expecting the cream inside the profiterole to be flavoured but it was absolutely gorgeous. I didn’t get to eat my panna cotta as I couldn’t bring myself to eat anymore and it was served in a glass shot glass so I unfortunately couldn’t take it home which is a shame. However, my mum really enjoyed it and said the rhubarb was really noticeable and enjoyable. The macaron was an absolute dream. It was more like a brownie, it was so dense and tasty. My mum said, and I quote, “I didn’t really understand why people liked macarons until I tried this”. I love macarons but I would go as far as saying that it was the best one I’ve ever had. I didn’t actually end up trying the flapjack, I took it home but completely forgot to eat it and by the time I remembered, it was stale, oops. 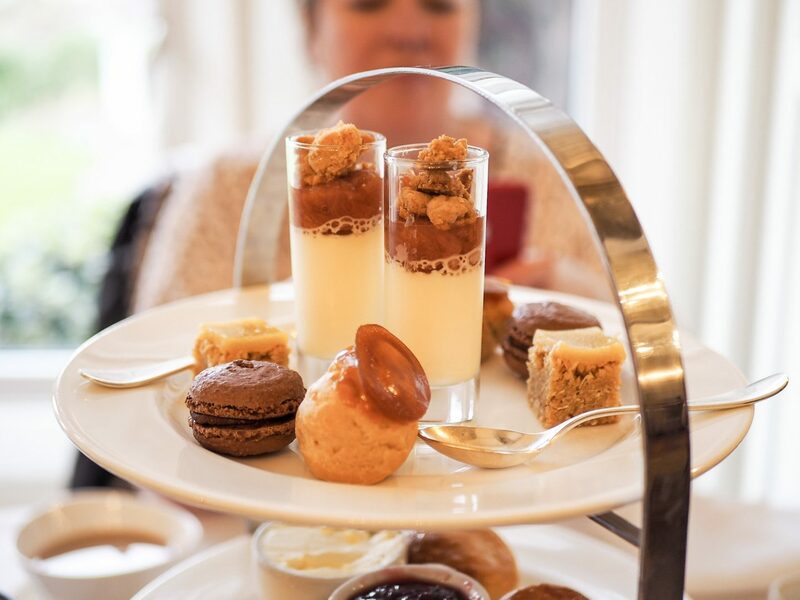 I’d definitely recommend Berwick Lodge afternoon tea, they offer a children’s one aswell as a few different variations that you can view on their site! You’re also able to buy gift cards for them so you can give one to someone for a treat. I did also upload a post about the Browns afternoon tea here if you’re interested in reading it. 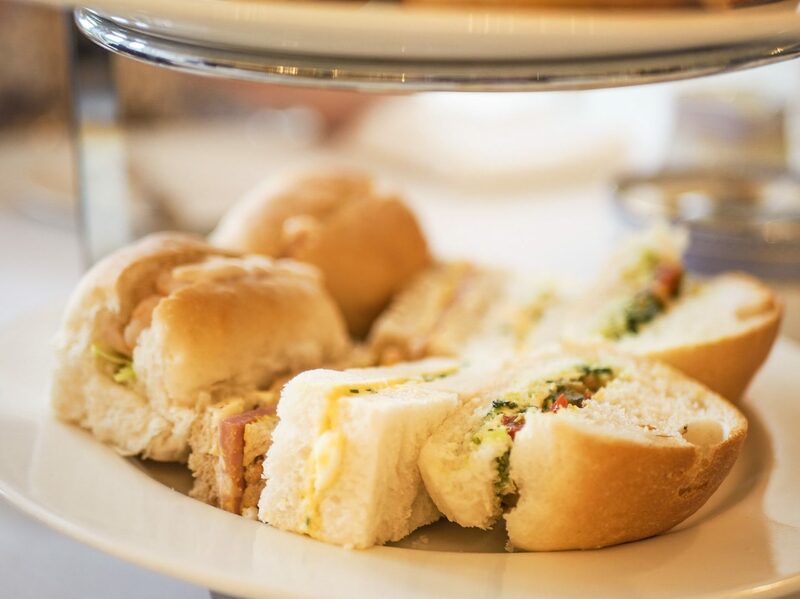 In your opinion, where does the best afternoon tea? Oh wow, this place sounds lovely. Their food sounds amazing too. I’m a massive sweet tooth so I was loved reading about the top tier. That macaron sounds incredible. That’s so nice that you were able to experience this afternoon tea place with your mum. The macaron was for sure up there with my favourite bits! I LOVE the setup from your afternoon tea. The lodge looks nice – it has some vintage vibes to it. Yummm, the food sounds delicious as well. I know I’d love the macaron for sure. Glad you and your mother had a great time! It’s a really lovely setting, very antique 😊 the macaron was definitely one of the highlights! Ohh my I love a good afternoon tea! I’ve only been to a couple but never this beautiful. All the food looks amazing and the lodge is soo beautiful. It reminds me of something in the countryside. I would love to go explore somewhere like this. I love how fancy it was, not all I’ve been to have been this nice either! Yay I’m so happy to “meet” another lover of afternoon tea! I’m gutted that I got into it before I got hooked on blogging, as I have so many stories to tell… So for now I’m on the hunt to find new places, and I’m really glad I came across this! The only thing I’m a bit unsure about are the sandwiches as I’m super picky and usually stick to turkey, but I guess I could stuff my face with scones and cakes instead! Thanks for the review! Hehe it’s amazing isn’t it?! You should definitely get out there and experience some more! Oh hell yeah you could, I don’t think I could decide what my favourite part of it is! Afternoon tea is honestly my favourite thing! This place looks and sounds amazing and somewhere I’d definitely take my mom as I know she would love it! Me too! It’s such a lovely experience and the food is so luxurious! Ohh this looks delicious. Very nice review. Thank you 😊 it was a lovely outing! 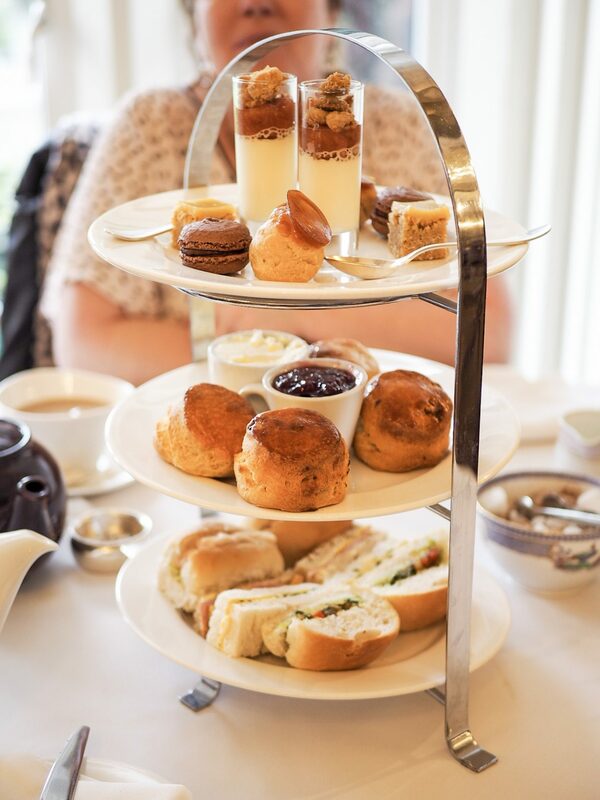 I’ve always wanted to try real british afternoon tea, and the boyfriend have promised that on our first trip to england together, he’ll take me. Ooo this sounds good! I love an afternoon tea but don’t get to do it very often. The sweets there sound incredible though, especially the profiterole. Oh my goodness what a gorgeous place! I won’t touch an afternoon tea unless it has a selection of mini desserts like this one haha! I absolutely love prawns but Jamie hates them like you, so I always end up getting extra which is a total win! Sounds like you had a lovely time! This looks incredible! 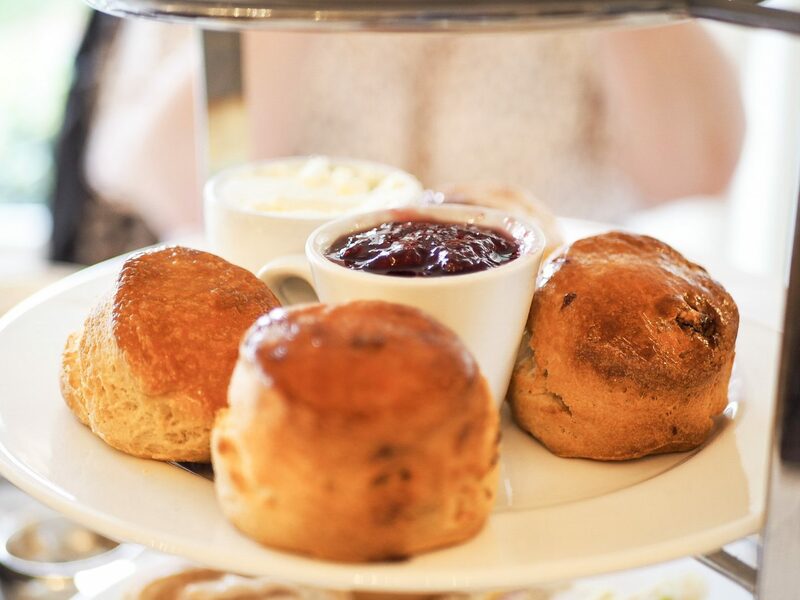 I love afternoon tea and like you, I also bought my mum a voucher for Christmas – we’re off to York to go to Betty’s tea room and I can’t wait. If (when) I go to Bristol I will 100% check this place out as it looks beautiful. This looks so lovely – both the food and the venue! That chocolate macaron is calling my name. I’d really like to go for afternoon tea sometime, as I haven’t been before. I’d love to take my mum as well! I think it’s lovely that you and your mum go for afternoon tea together. The only time I’ve had it was at my cousins wedding as part of their lunch menu, it was such a cute idea and I really enjoyed the food. This venue looks beautiful and that macaron looks delicious! My mum has a thing about prawns too.